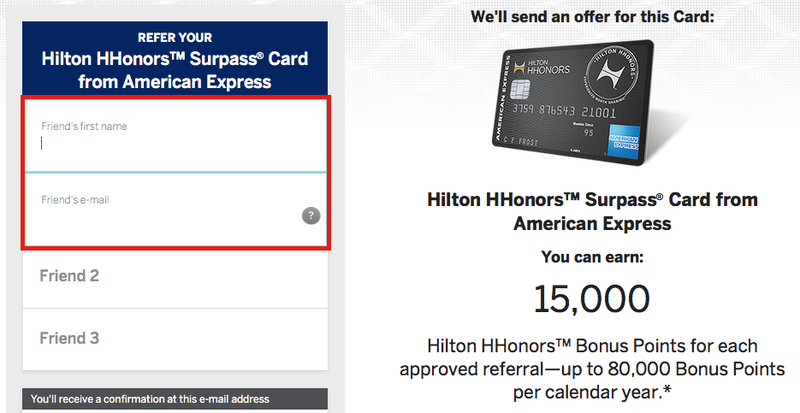 American Express is offering an increased referral bonus on both the Hilton HHonors Card and Hilton Surpass Card. You can earn extra Hilton points for each person you refer who applies and is approved for a new card. Typically American Express sends out targeted emails to cardholders inviting them to refer friends to apply for the same card. However, you can generate your own referral link even if you have not received this email. If you are a cardholder of one of American Express’s co-branded Hilton credit cards you can get your referral link by clicking on the links below and logging into your account. You can then enter up to three people’s names and email to send a referral to. To get the direct application link to your referral, all you need to do is email yourself a referral. You can earn 15,000 Hilton points per successful referral, up to a maximize of 80,000 points in a calendar year. The current bonus offered through referral links is 100,000 Hilton points after spending $3,000 within the first 3 months. This is a higher bonus than the publicly available offer, which makes it better for someone to apply through a referral link than the public link. You can earn 5,000 Hilton points per successful referral, up to a maximize of 55,000 points in a calendar year. 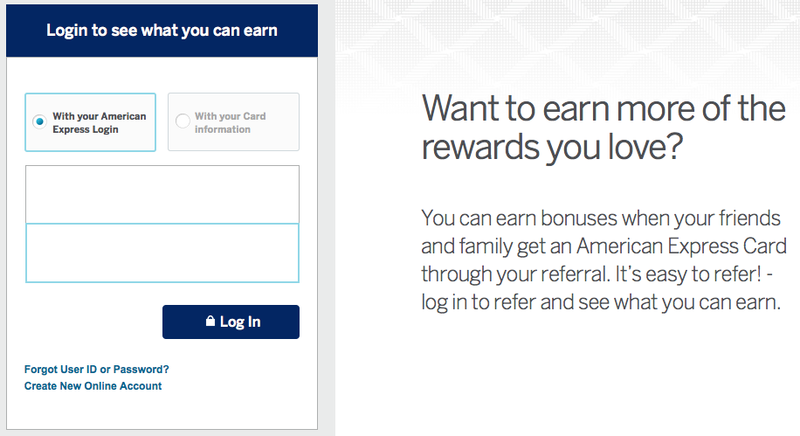 The current bonus offered through referral links is 75,000 Hilton points after spending $1,000 within the first 3 months. I referred 8 friends who applied and got approved for the Hilton HHonors Amex card 3 months ago and haven’t received any referral bonus points yet. Does anyone has the same problem?